G-Tel is Canadian corporation based in London, Ontario and is the leading provider of utility network integrity services in the Province of Ontario including but not limited to underground utility locates, gas pipeline leak survey and corrosion detection, pipeline marker installation/maintenance, private/pre-engineering and/or SUE locate services and sewer lateral [PDC] safety inspections. G-Tel’s commitment to the health and safety of our employees, quality workmanship, plant protection and damage prevention is unparalleled in our industry. G-Tel provides in excess of 175,000 utility and private locates across southwestern Ontario annually and provides pipeline integrity services to both major and minor natural gas distributors in the Provinces of Ontario and Quebec. At G-Tel we pride ourselves on meeting our commitments to our customers in terms of quality of workmanship, timeliness of delivery and competitive pricing. 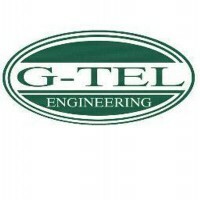 G-Tel’s management team are recognized by our customers and our industry for their ability to effectively manage complex projects, large volumes of work order requests and the development and delivery of customized solutions that meet or exceed customer expectations and/or business requirements.